This particular book scared the crap out of me. Happy (almost!) Halloween! In honor of Halloween, I’d like to throwback to one of my favorite childhood series: Goosebumps. As a kid, I was proud of how many books I read in a series. I read nearly all of the Junie B. Jones books, all of the American Girl Books, 16 Dear America books, eight Warriors books, and up to book #29 in the Magic Tree House series. I was very proud of my Goosebumps number–up to The Horror at Camp Jellyjam, #33–I know these numbers because I kept track of them in my super nerdy diaries, where I bragged about my numbers. Some people keep track of notches on the bedpost, I kept track of how many books I read…it explains why I didn’t get a boyfriend for a very long time. R.L. Stine is a boss. He has a way with writing terrifying children’s books (I am still terrified of puppets after reading Night of the Living Dummy) with humorous twists so you didn’t really have to hide underneath your covers at the end of the book. Looking at Goodreads, there are 62 books in the Goosebumps series—considering I started reading them 15 years ago, this blows my mind. The last was published in 1997, near the time I was reading them…clearly my library didn’t have them all or I lost interest, because my number (33, in case you forgot) was pretty sub-par. 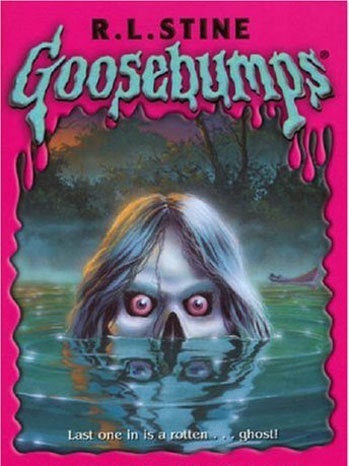 Did you read Goosebumps as a kid? Which one was your favorite?